India’s most awaited LAN event is down the line and will be presented to the world tomorrow. Top 8 teams from the country will battle for the prize pool of over ₹ 10,00,000 INR. The Venue selected by the organizers is in Pune, players of CS:GO, DotA II, and Hearthstone will be seen gathered together at Alpha Bachat Bhavan, Pune on 28th July 2016 to compete against their rivals and bring themselves the trophy along with the reputation of being the best in the country in their particular skills. ESL India Premiership runs in a format which includes 6 Online Starter cups for each game, 2 Open qualifiers, 2 Challenger Cups and a Masters cup which is the most awaited event so far in the country. Premiership Challenger #1 will witness 3 starter cup winners and runner ups which make a total of 6 teams and 1 slot will be filled by the winning team from the offline qualifiers and the last slot is an invite-only. Open qualifiers will be held near the Challenger Venue where from all over the country can assemble and fight for the slot in Challenger. The winners and the runner ups of each starter cups are also awarded a prize pool of 35,000 INR and a slot in Challenger cup. Challenger will include the teams who are the finalists and semi-finalists of the starter cups and the winner of open qualifiers. One team will also be invited to the event directly which will make the count of teams playing the Challenger cup to 8. 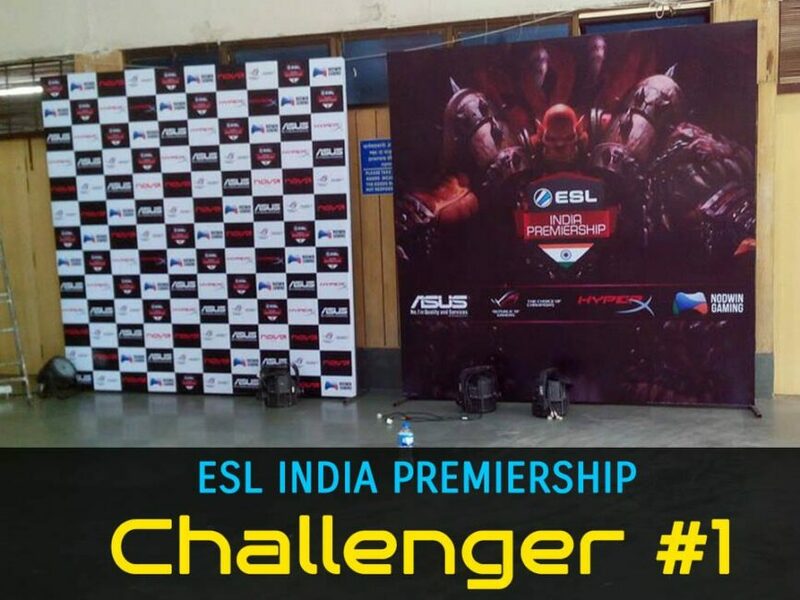 The prize pool for Challenger #1 – Dota 2 section is 3,95,000 INR divided into 8 teams. The format for the event will be best of one – Single elimination.